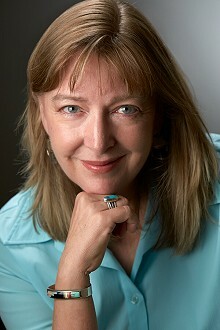 J Carson Black is an American writer of crime and thriller fiction known, among other things, for her Laura Cardinal series. She also writes about the trials and tribulations of writing in her blog The Writing Life of J. Carson Black and Friends. Black has partnered with digital publisher Breakaway Media to publish her novels in the digital space. I think for me, it's more the other way around. I am such a fan of other authors, and I think these authors have affected me as a writer because their books have inspired me. And as you know, authors are the nicest people. There is one, but not from a fan. An email from John Lescroart that to this day I keep in a hermetically-sealed box and only read during a full moon. It kept me going through the lean times. One? How could I choose one author? So many thriller and crime fiction authors have been unwitting mentors to me; I've learned from them. But the book that made me want to be a writer in the first place was Something Wicked This Way Comes, by Ray Bradbury. My animals, or my husband? My animals or my husband? Wait, Man is an "animal". Problem solved. To be good. Really good.